Toronto Escape Rooms offer opportunities for fun, team-building exercises revolving around thematic narratives that provide a layer of motivation that, at its best, is unique and engaging in a way passive media experiences could never be. The door has closed and “locked” behind you (but not actually because it’s a safety hazard and you’re able to leave at any time) and the clock on the wall begins counting down. You have 60 minutes to escape a “burning” building. The four friends you brought with you will tackle a variety of logic puzzles, mathematical equations, and riddles throughout those 60 minutes. In our comprehensive guide to Toronto Escape Rooms, we break down what exactly escape games are and how they differ in theme and challenge and what you can expect once that door does lock behind you. We’ll give you a quick history on escape rooms in Toronto before listing out what we believe is the top 10 escape rooms companies in the GTA. The list isn’t ranked, simply compiled in one place for you to read over and decide which one is best for you. While they vary in size and theme, the core tenets of escape rooms are the same. Groups of two and up must solve a series of challenging puzzles to “escape” the situation they’re in. The catch is that groups are racing against the clock, usually given the aforementioned 60 minutes to escape. Larger more intricate rooms might have a time limit of 90 minutes, while smaller rooms might only afford 45. 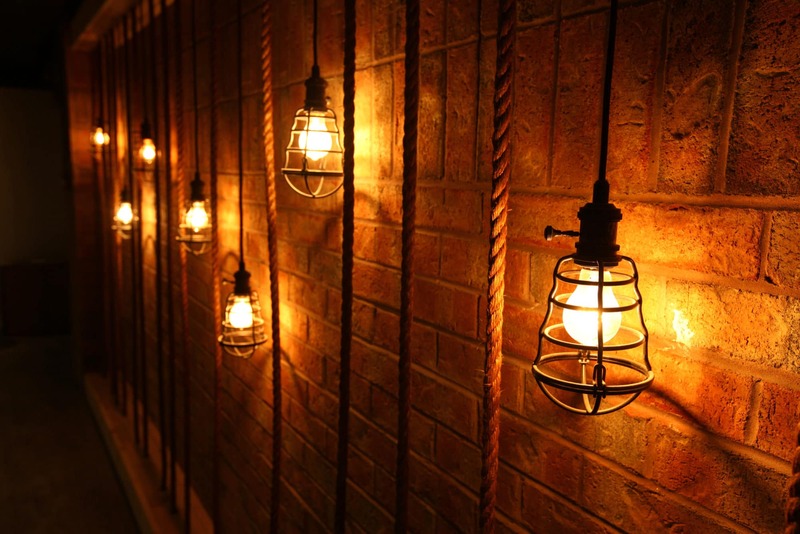 Toronto Escape Rooms will often have a narrative connected to the puzzles to put everything in context and add some extra world building incentive to win. Normally there’s a mix of physical puzzles, I.E putting objects in the right order, logic puzzles I.E how does one object interact with another, plus pattern identification, riddles, and ciphers to decode. A great example of an escape room challenge would be something like this: You’re trapped in the underbelly of a pirate ship and you need to escape. 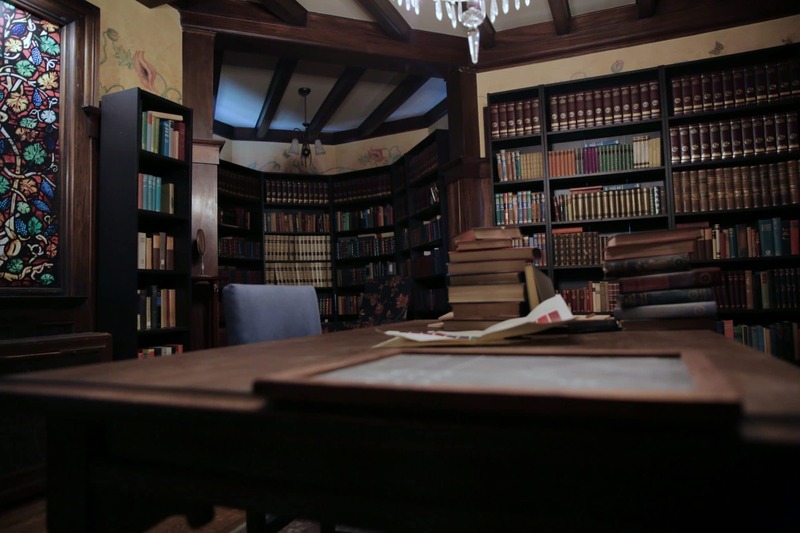 There’s a map on the captain’s desk with ships on it, detailing where he’s been. You have a book filled with coordinates and the drawers of the desk are marked with letters of the alphabet. All of these things interact with each other in a specific way and you need to solve this puzzle to move forward, how do you do it? While it’s difficult to pin down the first official escape room to open in and around Toronto, we do know one of the very originals was ESC-IT. Starting in 2014, ESC-IT really opened peoples eyes to the wonder of escape rooms and the interesting challenges they offered. Unfortunately, ESC-IT closed its doors in 2017. EscapeRoomAddict (ERA) is a website and community of people who review escape rooms throughout the GTA, founded by Matt Silver. As a corporate team building consultant, Matt began doing escape rooms in the mid-2000s. Matt saw an opportunity to apply his full-time work to the escape room experience and thus EscapeRoomAddict was born. The team provides feedback to each room they experience, about the things they love and how each room can be optimized for fun and a challenging, team building experience. “First and foremost we love escape rooms, it’s why I started this and why we as a team, continue to travel around North America and participate in escape rooms,” Silver said. They do this by following a five-step scoring system that valuable feedback at each stage. Pre-Room and Customer Service – This has everything to do with the experience before actually stepping into the escape room. From the lounge area to the customer service, this is where feedback begins. Room Quality – Here Escape Room Addict are looking at the actual construction of the escape room. Is the theme consistent throughout? Are the materials used solid and put together well? And most importantly, is the room safe? Immersion – Here we’re looking at how believable the room is. Is the story interesting and engaging? Are the challenges consistent and connected to the story? If you aren’t engaged with the room’s theme, the challenges won’t be as fun. Puzzles – This section is crucial because engaging with the puzzles are the actual “doing” part of any escape room. So questions like “Are the puzzles intuitive? Do they follow a logical path? Or are they straight up broken?” Are just a few of the questions the Escape Room Addicts ask when providing feedback. Fun – The fun factor takes into consideration how the previous four grading factors work in tandem with one another. How does the narrative, puzzles, room design and the pre-room experience all flow together to make a great or not so great escape room? All of the gradings are done on a scale of 1-10. With the original chapter in Toronto, the Escape Room Addicts have expanded and opened chapters in Los Angeles, New York City, Denver, Chicago and Berlin. These 10 Toronto Escape Rooms were curated with the help of the Escape Room Addict. It’s a diverse list that highlights the different variety of escape rooms that you might encounter throughout the city and GTA. Seeing as we’ve experienced at least one room from every company on this list, you can be sure that all of them are fun, challenging and entertaining. Toronto Escape Rooms: Escape From the 6 is one of the best Escape Rooms in Mississauga. With four rooms, two themes and 11,000 square feet there’s tons to love about Escape from the 6. Each room is a mix of logical and physical tasks and dual rooms for the same theme means that competitive teams can square off in a head-to-head challenge. Owners Andrew and Christina Sturridge opened up Escape From the 6 after traveling throughout Asia and experiencing an escape room in Malaysia. “Our area is zoned for entertainment so it was perfect. The city of Mississauga has proven to be a great city to operate in due to the proximity to Toronto and Oakville, the diverse multicultural community and versatile demographic,” said co-owner Christina Sturridge. There are two “Escape the Wild West” rooms and two “Firefighter Rescue” rooms. Number of players: “Escape the Wild West” can accommodate 2-6 players in each room, totalling 12 participants per hour while “Firefighter Rescue” can accommodate 2-10 players in each room, totalling 20 participants per hour. Memberships and perks: “We currently offer tournament style play and we also have Table Tennis, a Jumbo Jenga set, a large Checkers set, and Nintendo Wii in our lobby to keep guests entertained prior to or after their escape game experience,” said Sturridge. Additionally, Escape from the 6 offers a 20 per cent discount for groups of 15 or larger all day Wednesday, Thursday, and Friday’s before 5 pm. There is a public lobby area and a private meeting room, which is free for one hour after the game but is available to book for additional time at an extra cost. Food and drink: Escape from the 6 offer a complimentary “victory” drink after completing an escape room. This can be water, juice or pop. “Also, after the games and, or during, if participants are waiting to play they may use our lobby space and meeting/party room free of charge where they can order in any food and drinks,” says owner Christina Sturridge. 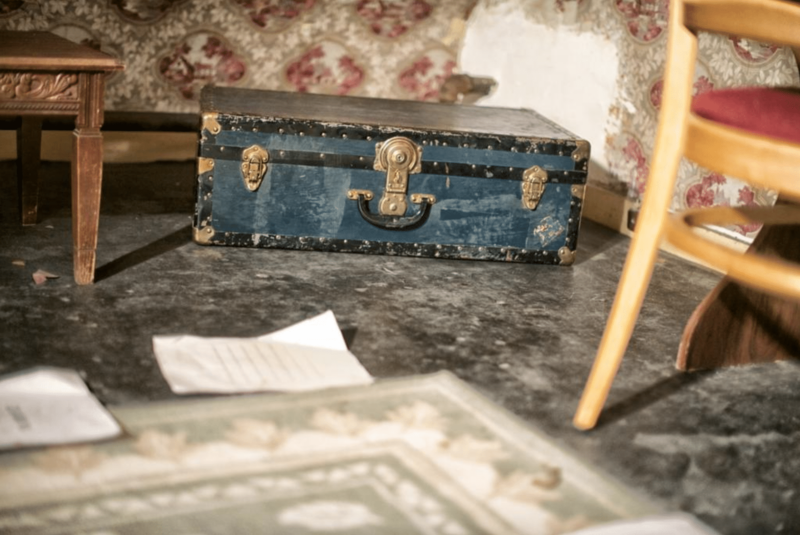 Toronto Escape Rooms: A simple briefcase at Captive Escape? Or a crucial key to escaping a precarious situation? Shaun and Marina started doing Toronto escape rooms together and thought they were super fun and interesting. This led to them deciding to open their own. They officially opened for business on Friday, February 13th of 2015. All of the Captive Escape rooms are analog focused and follow a linear path. 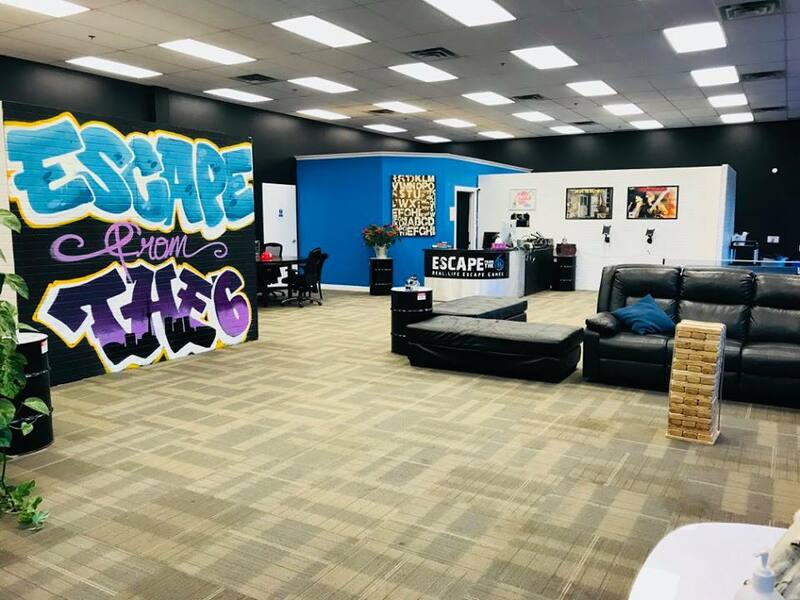 The downtown venue has a total of 5 rooms with a total hourly capacity of 40 participants, making it the largest escape room venue in the downtown area. All of the rooms vary in recommended capacities. Number of players: minimum of 2 players to as big as 12. Bookings: A week in advance. Memberships and perks: “We have our Social Media check-in discount for $2 off per check in. You can also bring us a box of cookies for $2 off per person in the group! What can we say? We love cookies!” says Seepersad. They also have a leaderboard. The faster your time, the better your rank. Wheelchair accessible: No, captive rooms is located on the second floor. Food and Drink: No food on site but there is a great restaurant in the Elm Street Cafe located on the first floor. 1200 Lorimar Dr. unit 7 & 8, Mississauga. 905-564-8844. NoWayOut Escape Rooms opened February 3rd, 2017. Before owners Kyle and Dana embarked on the journey of opening up NOWAYOUT, they fell in love with the concept of Toronto escape rooms after playing through many of them across the GTA and internationally. “We chose to open up in the city of Mississauga for a few different reasons and the response has been fantastic. We’ve met amazing people both locally and from all over the world who’ve included NoWayOut as part of their travel itinerary,” Kyle says. All of the rooms at NoWayOut are designed and built by Kyle, Dana and their team so you’re getting a one-of-a-kind experience. They’ve implemented as much technology and physical elements into the rooms as possible. The newest adventure: Earthquake, actually simulates an earthquake. So, as you’re working together with your group trying to complete a task, aftershocks are throwing things around and you’re trying to stay on both feet. It’s an intense experience. Number of players: Each room has a minimum and maximum number of participants. They can accommodate groups of 2 to 8 depending on which adventure you choose. They also accommodate much larger groups for private and corporate events. Memberships and perks: They offer a birthday promo, second bookings promo, and offer a discount on groups larger than 10 participants. NoWayOut also has leaderboards and tracks completion times. Food and Drinks: NoWayOut offers a variety of snacks and drinks, including chips, chocolate bars, water and pop. Toronto Escape Rooms: a pirate themed room at Freeing Station. 9625 Yonge Street, Unit 2F, Richmond Hill. 647-800-7622. Owner Kenneth Hui experienced his first escape room in 2013 at “Esc-It”, which is one of Toronto’s first escape room companies. Freeing Station Canada opened a 1.5 years later, with Kenneth transforming what was an abandoned office space at the time. “I love how an escape room can be truly immersive if done well, giving players a feeling of living in a totally different world for the 45 or 60 minutes that they’re in the game. After playing my first game, I knew I wanted to open an escape game of my own,” Hui says. “I picked Richmond Hill and this busy plaza as there were no other similar business in the community at the time. The plaza already had existing entertainment businesses, including Laser Quest and Putting Edge. It was a great way to introduce a new form of entertainment to this crowd. The community has been very supportive and we often give back to the community by sponsoring many youth groups in the area. Freeing provides a fun and safe place for people to hang out even after an escape game,” Hui says. The six themed rooms can accommodate up to 42 people at one time and players waiting can hang out in the 1000 sqft lounge with free popcorn and board games. “Our escape rooms vary in design as I want to appeal to different crowds. We have rooms for beginners and enthusiasts alike. Freeing’s rooms are highly immersive and we utilize custom made props. We strive to incorporate innovative puzzle designs in each room, and upgrades to the rooms are routinely done based on feedback from the community or if I suddenly have an “aha moment” with a puzzle improvement idea,” Hui says. Number of players: Five of the rooms require a minimum of two players with one themed room requiring a minimum of four. Bookings: It’s recommended to reserve a game at least one week in advance. Memberships and perks: “We have new promotions on a regular basis. Currently, we have a Happy Wednesday and Thursday $19.00 game and also a social media promotion where each player can receive a 25% off voucher for their next visit when they post an after game photo,” Hui says. Wheelchair accessible: No, Freeing Station Canada is located on the second floor of the building. Food and Drinks: Freeing Station Canada serves the aforementioned free popcorn as well as having a dry bar where they sell snacks, coffee, tea, and soft drinks, chocolate bars and chips. Toronto escape rooms: a clue-filled library at Secret City Adventures. 1 Austin Terrace, Toronto. 647-243-7658. Founded in 2012, owners Tina and Patrick Keenan opened Secret City Adventures with a mission to design immersive experiences that push the boundaries of adventurous entertainment. They’ve created theatrical escape room games including the Casa Loma Escape Series, Black Creek Pioneer Village Escape Series, and the official Murdoch Mysteries escape room. “Our games are located in historical venues across the GTA. The communities in and around the venues have been great supporters of our experiences. Several other businesses (i.e. restaurants) have partnered with us to provide a “great night out” ecosystem for our players,” she says. They’ve also partnered with SCRAP Entertainment to take a touring production of the original genre-defining Real Escape Games across Canada. “Secret City is unique in that we take Toronto escape rooms to the next level by incorporating immersive features into our games. A part of that is having actors facilitate a fun adventure. As for the style of our rooms, that’s part of the experience — you’ll have to come and see to find out. In terms of community feedback, we are very receptive. Our design team reviews all feedback that players leave after the game and we use this to continuously refine and improve our games,” says communications manager Melissa Hughs. Number of players: 12-1. Generally, players play in teams of six. You can either bring a team of your own, or they can create teams the day of. Bookings: At least 3 weeks in advance, especially for the weekend games. Memberships and Perks: “We currently do not offer memberships, however, we are exploring some models with a membership component,” Hughs says. Wheelchair accessible: “Our Black Creek game is wheelchair accessible. Casa Loma games are held in historical buildings that unfortunately were not designed for accessibility,” Hughs says. Food and Drink: There’s a high-end steakhouse on the Casa Loma grounds called Blueblood. Additionally, there’s a casual cafe offering snacks and drinks. 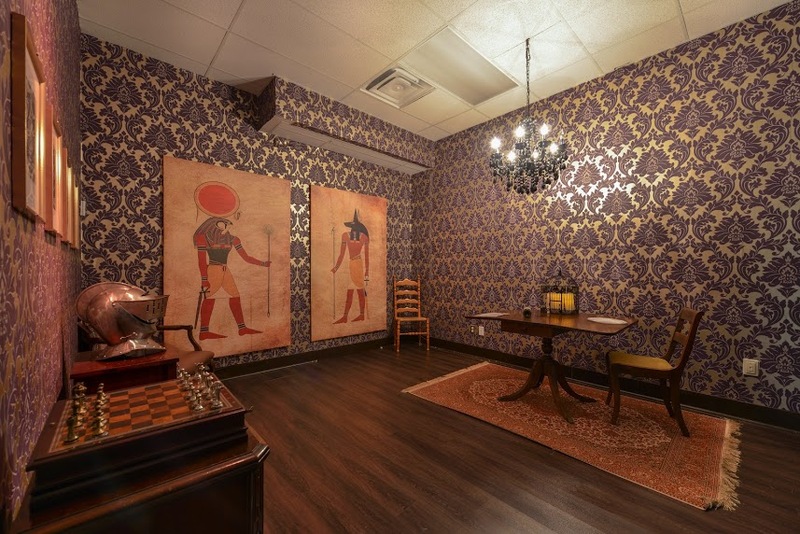 Toronto escape rooms: Egyptian vibes at Looking Glass Adventures. Owners Christine Hibbard and Jonathan Hoult opened Looking Glass Adventures as a pop-up escape room in 2015 after trying them out that same year. They decided to open a family-friendly escape room since a lot of venues at the time were horror themed. “We didn’t know if we would get any interest so we opened in a small 1000 sq ft venue with only one game to keep risks low. We had the help of our community association cover some expenses within the first 6 months as well as help us source the space. We grew to be a favourite among our community as well as in the escape room community. In the summer of 2017, we moved into a space 4x the size to offer more games and a full party experiences,” Christine says. “We picked the area because it was in our community and we wanted to be loyal to that. At the time, our community was going through a big revitalization. There were many initiatives to fill the many vacant spaces along the Danforth. Being a resident of the community for over 15 years, I knew that an escape room would be a destination location as well as have the potential to bring many people into our area and feed into other local businesses,” she says. Memberships and Perks: “We are developing a frequent visit card so that if you visit and play all our games, you get a prize. We don’t like the idea of leaderboards as we try not to focus on times like other escape rooms. We try to get all our groups through the entire game and have a positive experience through success,” Christine says. Owned and operated by Adam and Caitriona, Mysterious Minds opened its doors in August 2016. They are known for offering challenging, yet fair escape rooms with creative and unique puzzles that make sense and are logical. “All of our games are designed and built in-house, which allows us to make any necessary changes to the flow of a game in order to maximize the customer enjoyment,” Adam says. “What makes us stand out from other Toronto escape rooms is that we focus on the full customer experience from the moment they walk into our facility, to the moment they leave. Our rooms are challenging yet extremely fair, which quite common feedback we get from customers,” Adam says. “Even though some puzzles can be tricky and stump participants, they always agree that after getting a clue, it makes perfect sense. We don’t agree with gaps in logic between puzzles and feel that the story behind each room is very important. We work hard to provide the customer with a scenario and objective that is clear and concise,” he says. Number of players: Each of the rooms has a different capacity. Mysterious Minds’ largest capacity game is “The Hidden Treasure of the Grand Carnival” which can accommodate a group size of 8. The other game they currently have running is the Quest To Save Christmas (available for booking in two difficulty levels) has a maximum capacity of 6. “We also allow bookings for groups of only two, which very few escape rooms in Toronto allow. All of our bookings are also private, which means even if you book for only two participants, we will not pair you up with other strangers, it is just your group in the game,” Adam says. Bookings: One week in advance. Food and Drinks: Light snacks and drinks are available. Toronto Escape Rooms: tech and science mysteries abound at Escape Revolution. Unit C6, 3478 Lawrence Ave. E, Scarborough. Escape Revolution has been officially open to the public since January 2019, but have been developing Toronto escape rooms since 2017. “Our Toronto escape rooms are very different from the rest of the community. The escape games we create may be defined as real-life adventures with some escape room elements to be more appropriate,” says one owner Si Sun. With two rooms currently available and a third on the way, Sun describes their adventures as “Games with very clear and logical storylines. All the challenges in the game make total sense and still fun to play as a team,” she says. Number of Players: It’s recommended that groups of two or more take on the escape rooms, but they can accommodate between 3-8 players at a time. Food and Drink: Snacks, chips and an assortment of soft drinks. 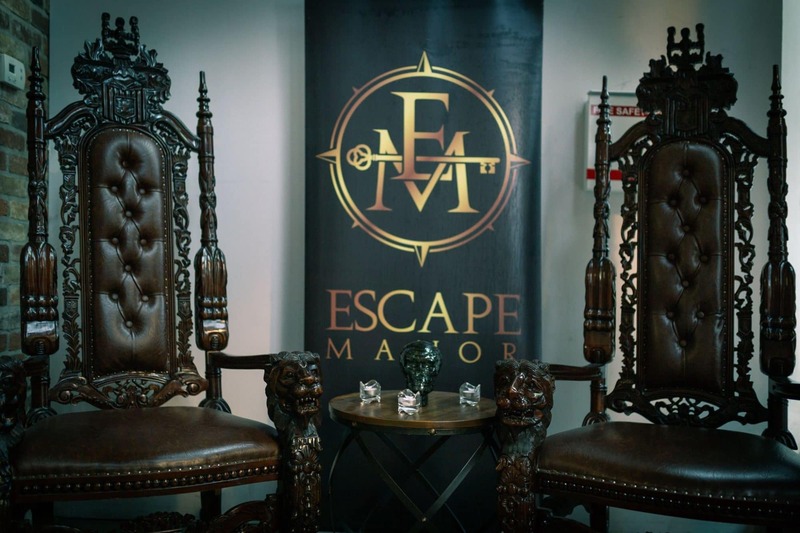 Toronto Escape Rooms: a pair of thrones at Escape Manor. 383 King St. West, Toronto. (647) 417-1122. The Toronto location for Escape Manor opened in October 2018 and was the first to include axe-throwing and is still the largest in the Escape Manor family. Owners Billy Rogers, Chris Bisson, Neil Schwartz and Steve Wilson wanted to build a brand that would get people excited, get them off their chairs and into the mix. There are more and more digital connectors out there, but the many parts of Escape Manor force you to engage with real people, in real life ways, but in some very heightened scenarios. “Toronto escape rooms are such a natural way to bring people together in a social setting, we knew that it would resonate, adding the bar, axe-throwing, and table games lounges were easy dots to connect after that,” said Marketing Coordinator Dawn Faithfull. “Each room is strategically designed to elicit positive emotional reactions and to make guests feel somehow both at home and somehow also on edge. 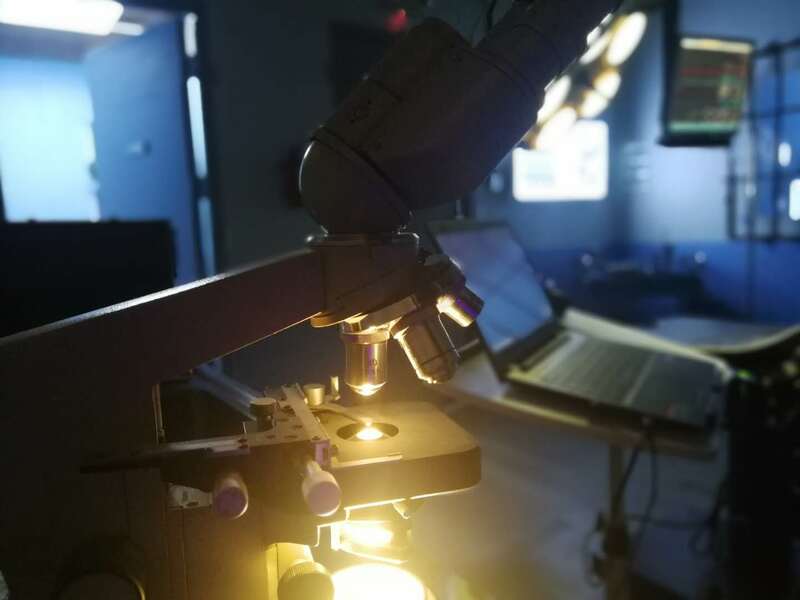 Things do change with the feedback of the escape room community, as well as those guests who come to Escape Manor for our other offerings; we ensure that we’re never stagnant, and we try to stay innovative wherever possible,” Faithfull said. Number of Players: Four Escape Rooms that host 8 people per room. The axe-throwing floor can accommodate 48 people per hour. Wheelchair access: The manor lounge is wheelchair accessible.